Situated near the airport, this motel is 1.6 mi (2.6 km) from Crater Hill and 2.7 mi (4.3 km) from Villa Maria Estate. Rainbow's End and Butterfly Creek are also within 6 mi (10 km). A restaurant, an outdoor pool, and coffee/tea in a common area are available at this motel. Free WiFi in public areas, free self parking, and a free airport shuttle are also provided. Other amenities include laundry facilities, a 24-hour front desk, and a garden. All 55 rooms provide conveniences like refrigerators and coffee makers, plus free WiFi and TVs. Other amenities available to guests include room service, hair dryers, and showers. The motel offers a restaurant. Wireless Internet access is complimentary. A roundtrip airport shuttle is complimentary to guests (available 24 hours). 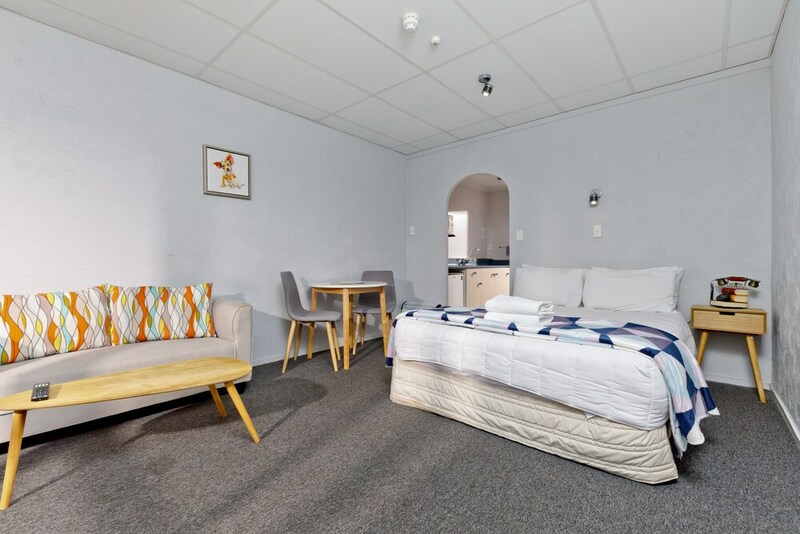 This Mangere motel also offers an outdoor pool, a garden, and coffee/tea in a common area. Onsite self parking is complimentary. Oakwood Manor - Onsite restaurant. Open daily. Start your morning with a continental breakfast, available each day from 7:30 AM to 10 AM for a surcharge. You can order a meal from room service during limited hours. Guests requesting early departure must do so by 10 PM of the night before departure. Rollaway/extra beds are available for NZD 25.0 per day. This property's policy is to refuse certain bookings for the purpose of group events or parties, including pre-wedding stag/bachelor and hen/bachelorette parties. This property offers transfers from the airport. Guests must contact the property with arrival details before travel, using the contact information on the booking confirmation. Parking height restrictions apply. Qualmark® assigns an official star rating for accommodations in New Zealand. This Motel property is rated 3 stars and is displayed on this page as 2.5 stars.